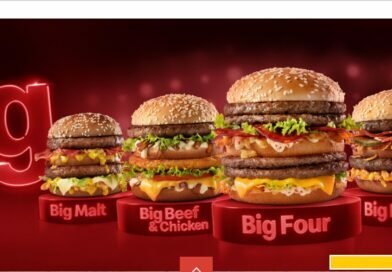 After all the recent negativity in the news about burgers, I decided it would be a good idea to create a ‘good news’ story about those loveable round patties. The day was also known as ‘Blue Monday’ – the most depressing day of the year… happy birthday to me then. I do not believe there is anywhere more fitting to achieve all three than taking a visit to the stylish bar and kitchen at The Tavern in Cheltenham. 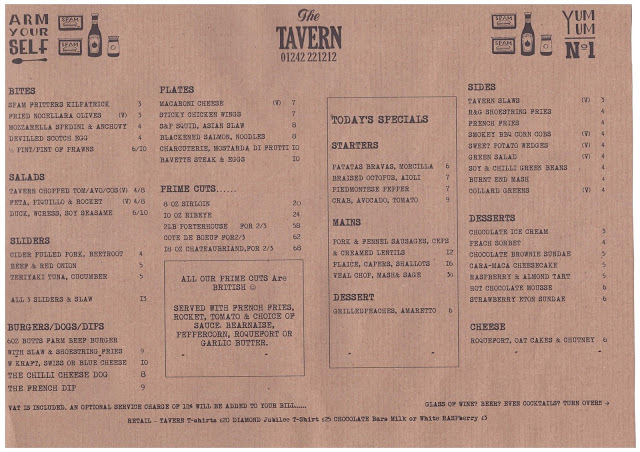 The Tavern is a very short walk from The Promenade and is a cool hangout with smooth lighting, a mellow attitude and it has a chic basement feel to it. The interior is immaculate and the building has been stunningly restored inside with an attention to detail that makes this a visual, foodie destination. The exceptional waiter service continued as he explained all of the daily specials in great detail and I got the feeling that I was in for a treat on this occasion. I ordered the 6oz Butts Farm Beef Burger with Slaw and Shoestring Fries but first up I went up with a cheeky Beef and Red Onion Slider. This was beautiful and I got an instant hit of beef. 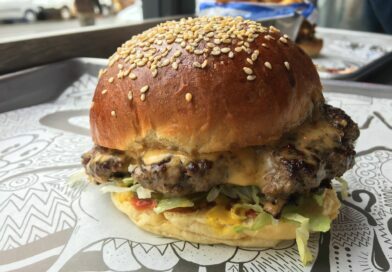 You could tell that this was good quality beef as it had a really intense flavour and blended ever so perfectly with the cheese to make it a lovely, melty, cheesy burger. The sharp taste of the melted red onion spiked my taste buds now and then and this was a really good, creamy, meaty appetiser. 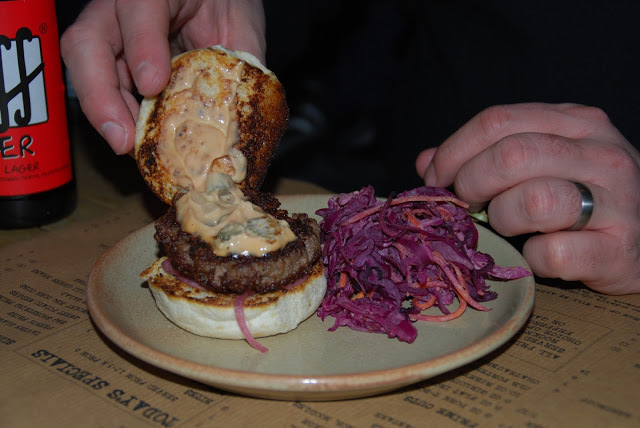 I also enjoyed the perfect accompaniment of the mild vinegary taste of the slaw that came with this slider. 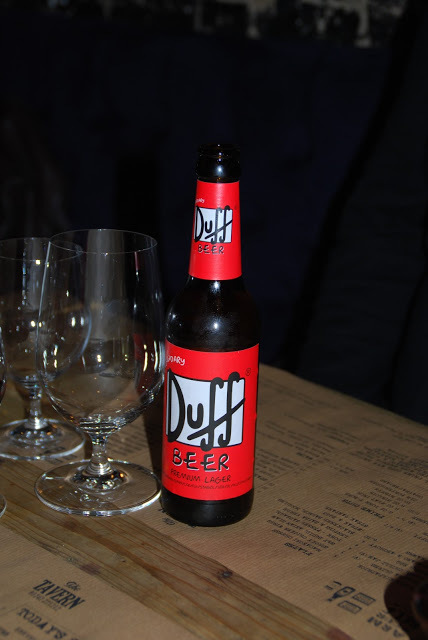 I washed it down with this delightful beer thinking that I could eat another three of those sliders…very easily! For this beefy bad boy I was asked how I wanted it cooked – I went with medium rare on this occasion and opted for the Swiss cheese. The other cheese choices available are Kraft (American) or Blue Cheese. The bun was toasted and held firm which is always a good start! It didn’t even flinch as I took another bite. The cheese was so thick and gooey as you bit into it and it had a lovely, subtle flavour which was almost sweet. 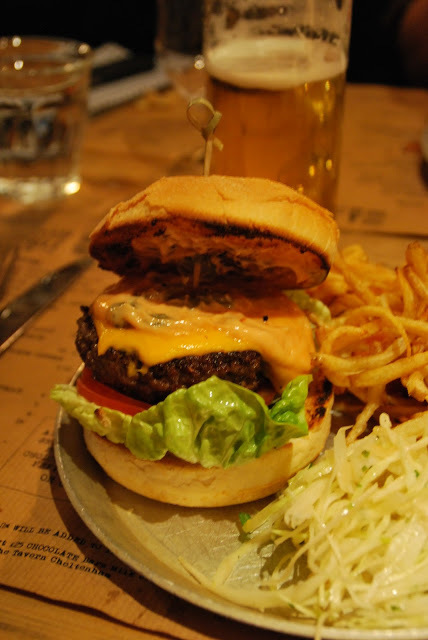 It oozed over the meat and held all the burger-loveliness together and I was an instant fan. 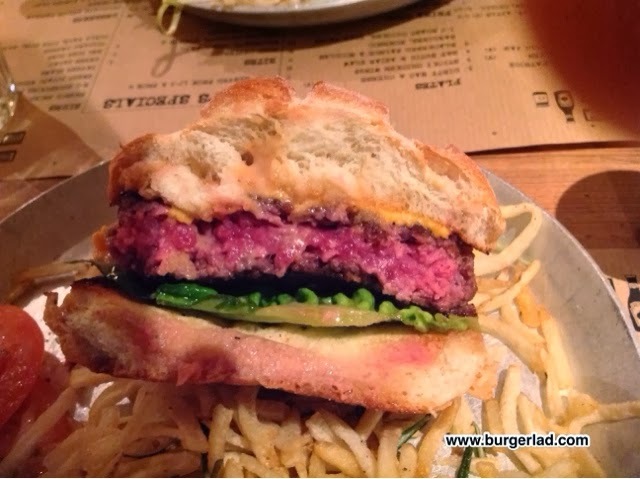 The 6oz beef burger from Butts Farm had been cooked perfectly and there were slight flecks of pink to confirm it has been cooked to medium rare. 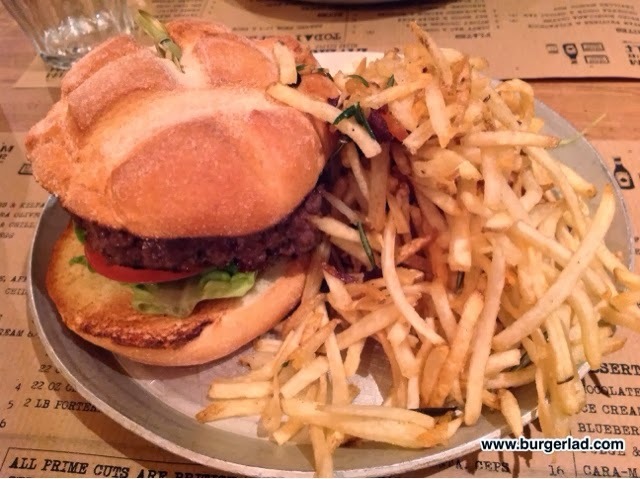 I was astounded by how fresh and meaty this burger was and you knew it had come from a quality, organic source. 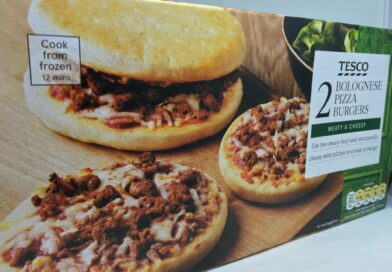 I remember tasting a buttery taste which fused well with the beef. 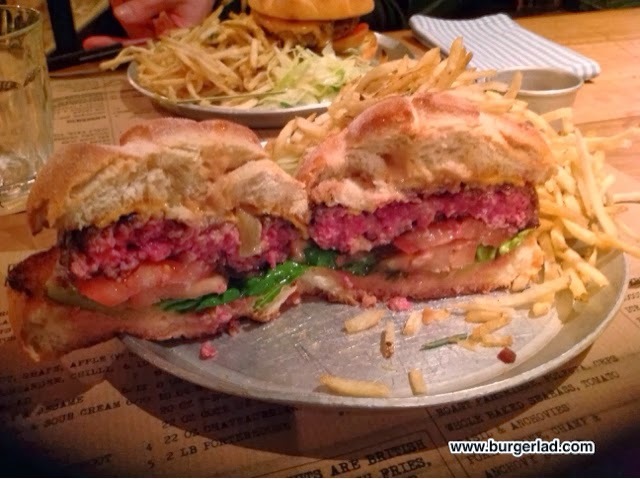 All of this combined to place the 6oz Butts Farm Burger right amongst all the other favourites we’ve encountered on our 21st century burger adventures. We tried what was called ‘Kilpatrick Sauce’ which was a tangy, spicy BBQ variation and was totally original. The Shoestring Fries and Slaw totally worked with the sauce and I found myself polishing it all off. 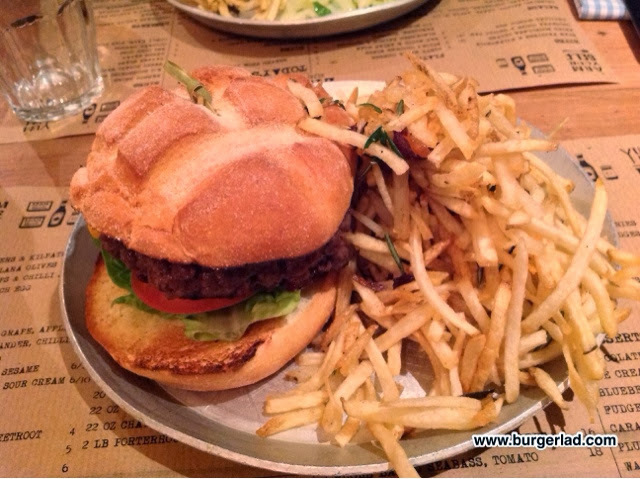 The slider was a good starter for £4 and the main for £9 was amazing value. 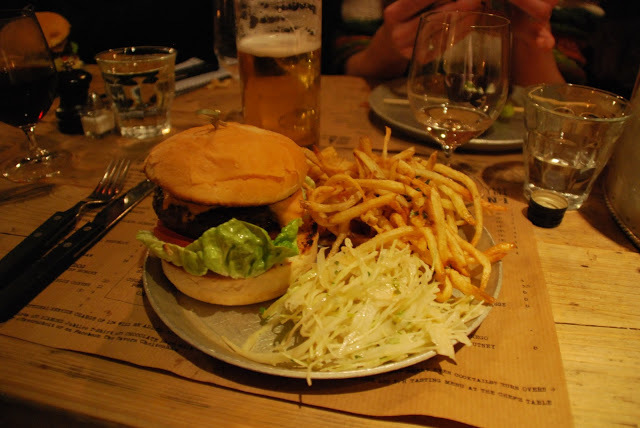 On a Monday you can sample a burger and a pint for £10 – this is now my favourite day! 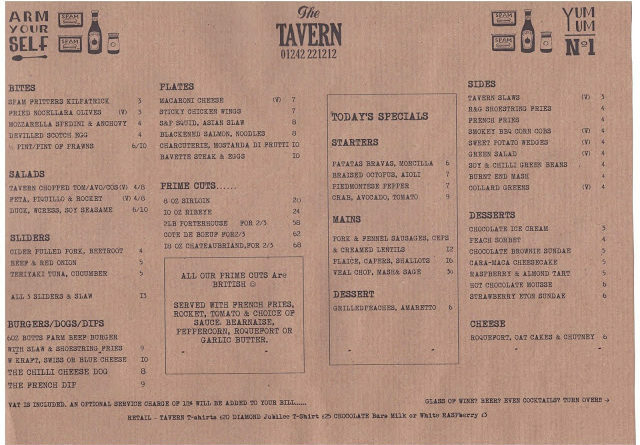 The Tavern is a hidden gem, yet to be discovered by the majority of Cheltenham. 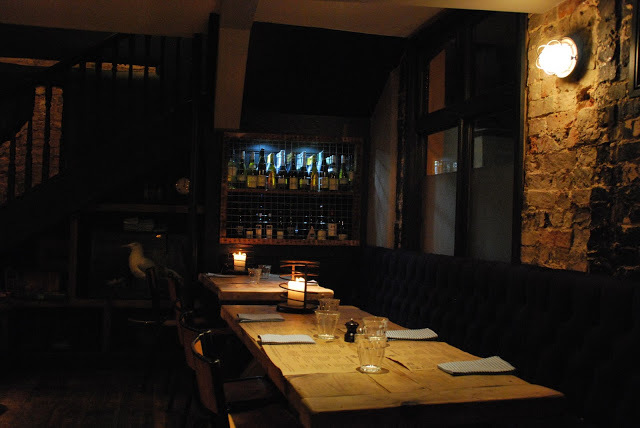 The staff are ridiculously knowledgeable about food and drink and are extremely attentative without being overbearing. 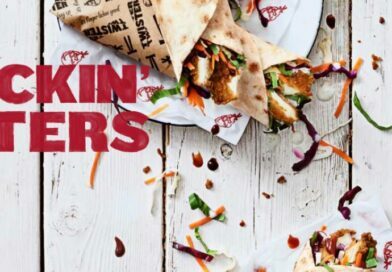 The burgers are amazing and I would recommend them to anyone – I really like having the sliders on the menu enabling you to try the various tastes on offer. It is not a case of ‘if’ I go back… more a case of when! And when I do I’ll be back in an excellent environment for eating, drinking, relaxing and enjoying yourself. I think it is pretty safe to say we succeeded in meeting our three objectives for the evening so thank you to all at The Tavern. See you again soon! We’ve been to The Tavern numerous times since then and on my last visit decided to take some shots of the amazing £10 burger and a pint deal every Monday. Yes every Monday! 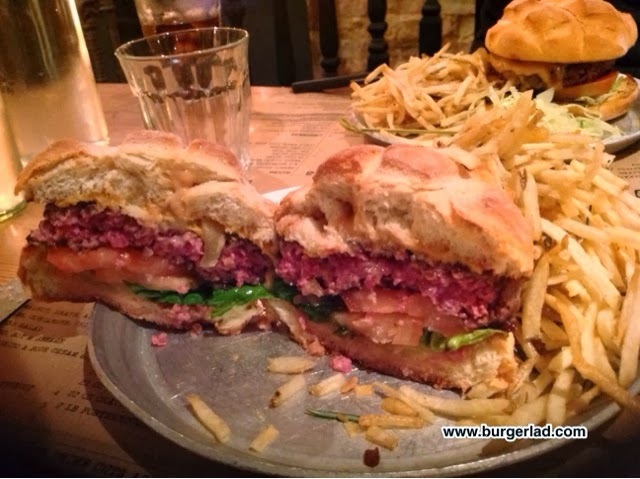 Get yourself to Cheltenham and check out this amazing burger! The Hired Gun had his burger rare so I did the same. At £10 for this and a pint why go anywhere else…? 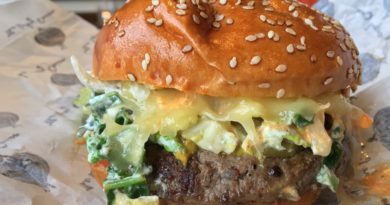 Could this be Cheltenham’s best burger…?